The Guide / Palm Springs Weekend: Palm Springs Getaway Itinerary picks from Anastasia Solo, Moscow-based blogger behind “Lets Nail Moscow”. Some of her picks: Pioneertown, Joshua Tree National Park, Moorten Botanical Garden and the Palm Greens Café. The Guide / Calendar: Lists 35 things to do in the Greater Palm Springs area in April, including the Garden Jam Music Festival at the Indian Wells Tennis Garden, the American Documentary Film Festival, the ANA Inspiration LPGA Golf Tournament, and, of course, the Coachella and Stagecoach music festivals. The Guide / Food + Drink: “Boozy Brunch” - Lists 5 places to fuel up before the festivals; Norma’s in Palm Springs, Jake’s in Palm Springs, AC3 Restaurant + Bar in Palm Springs, Eureka in Indian Wells and Wilma & Frieda in Palm Desert. The Guide / Wander: “Get Lost” – Provides 13 detours for the ultimate festival road trip, including the Cabazon Dinosaurs in Cabazon, Salvation Mountain in Calpatria, the International Banana Museum in Mecca, the Salton Sea State Recreational Area in Mecca and the World Famous Crochet Museum in Joshua Tree. The Guide / Shop: “The Float Down” – Offers some tips on how to ease back into everyday life after the festivals with feel good remedies for mind, body and soul, like Fest Fuel Tincture, Activated Popcorn, Healing Crystals, and Amber Incense. 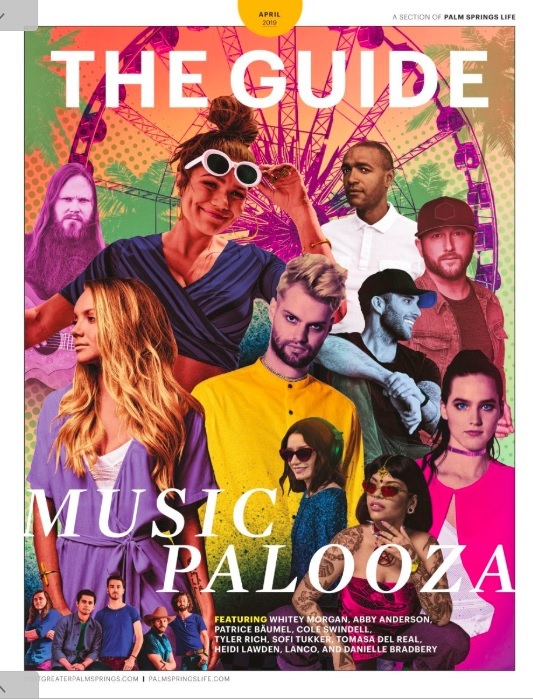 The Guide / Insider: “Music Palooza” – In this article, 10 festival acts, such as Abby Anderson, Danielle Bradbery, Cole Swindell, Sofi Tukker’s Tucker Halpern, Heidi Lawden and Tomasa del Real, reveal why they love the music festivals, what acts they want to see and offer their tips for attendees. The Guide / Concierge: This is your guide to some of the restaurants, arts, attractions, events, nightlife, etc. 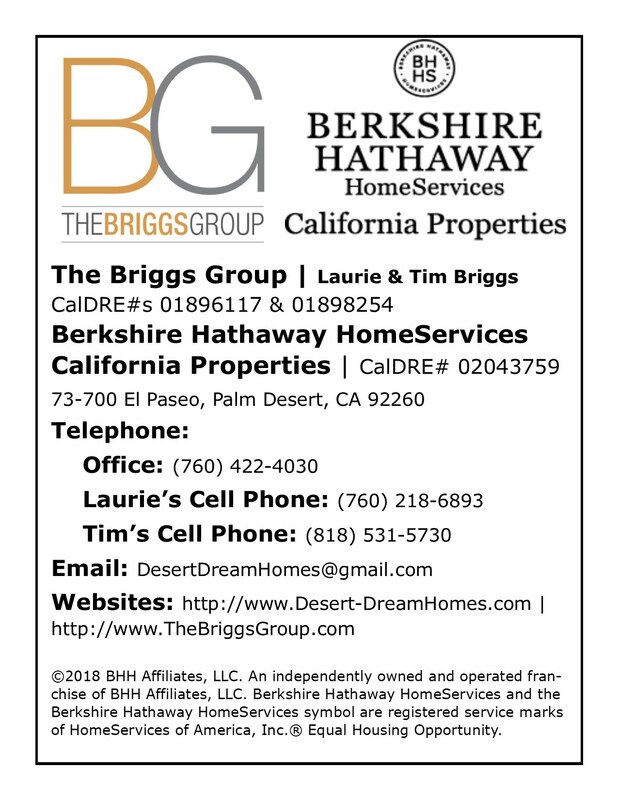 in the Greater Palm Springs area. The Guide / The Tale End: Meet Patrick Harrington, a Psychic Medium at Crystal Fantasy in Palm Springs.